Your eyes tell so much about you, especially when it comes to your age and overall appearance. Youthful eyes are wide-open and alert, while aging eyes can look puffy or droopy. Changes in your skin and fat composition around the eyes is often the reason you may look older. 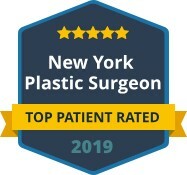 Dr. Maurice Khosh is Manhattan’s expert on helping men and women with aging eyes look more youthful and energetic with treatments for puffy eyes. Aging can cause a change in the fat composition under your facial skin. In the upper eyelid area, this can create excess skin that overhangs the eye. Your eyes may no longer look wide-open and ready to tackle the world; instead, they look tired and puffy, as the skin sags down on the upper eyelid. One option to change this appearance is blepharoplasty or upper eyelid surgery to remove the excess skin. Other options include injectable treatments that can be used alone or with upper blepharoplasty. 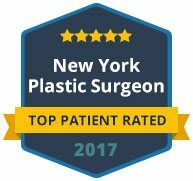 Dr. Khosh uses both surgery and non-invasive options to treat puffy, sagging eyelids at his office in Manhattan. If you look in the mirror and see eyes that droop or eyelids that sag, no amount of topical creams can give you back your youthful eyes. Once the fat has dissipated under the skin and it begins to droop, the skin will not tighten on the upper eyelid again without treatment. Eyelid surgery and other treatments can help. Dermal fillers can help tighten the skin and remove wrinkles, and laser therapy can improve the elasticity of the skin. 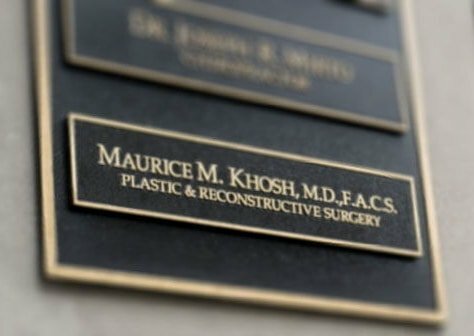 Dr. Khosh can help you decide which procedures will give you the best results so that when you look in the mirror, your eyes will be closer to the ones you saw in your youth. Rediscover your beautiful eyes and improve your overall appearance. If you have droopy eyes or sagging eyelids, contact the office of Dr. Khosh today to schedule your consultation.